After Cyncoed won their penultimate match of the Orchard Welsh Premier League season, they set up a decider for second spot with Swansea City this Wednesday. 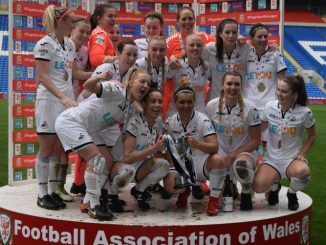 A Grace Horrell-Thomas goal set Cyncoed on the road to a 3-1 victory over Rhyl, which means the capital outfit will finish runners-up if they win at current second-placed side Swansea City in midweek. Abergavenny can still finish third following their 7-0 win at Caernarfon Town. Lyndsey Davies led with a hat-trick, Eliza Atkins bagged a brace, Kate Jeremiah got one and there was also an own goal. Llandudno held hosts Cardiff City FC to a 2-2 draw. 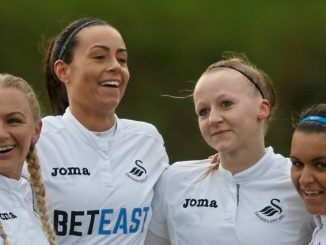 Shannon Evans scored for the Bluebirds but was sent off after 30 minutes and a goal from Lucy McDonough helped City rescue a point. 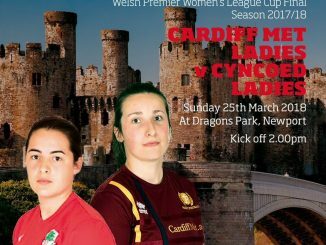 The season finishes this Wednesday when Abergavenny host Cardiff City FC, Caernarfon Town take on Llandudno and Swansea City welcome Cyncoed.